A delicious french dessert. Intermediate complexity , ready in 60-70 minutes. Boil the apples and margarine until the juice evaporates, sprinkle with sugar , mix and let it cool. Until it cools prepare the pie dough: Knead the flour with margarine, sugar, egg yolks, sour cream in which we mix a teaspoon of baking soda, lemon juice , cinnamon and vanilla sugar. 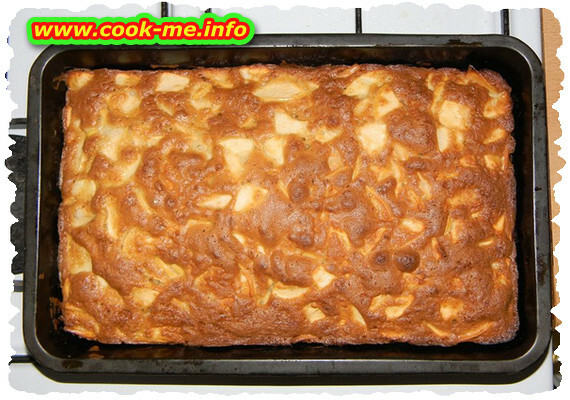 Put half of the dough intro a tray, cover with the remaining cold apples and the rest of the dough. Puncture the dough with a fork, grease with egg white and start baking. After cooling, sprinkle with powdered sugar.